Air Niugini has commenced its inaugural direct service between Port Moresby and Townsville, North Queensland Australia on March 31st – launched by Prime Minister, Hon. Peter O’Neill. 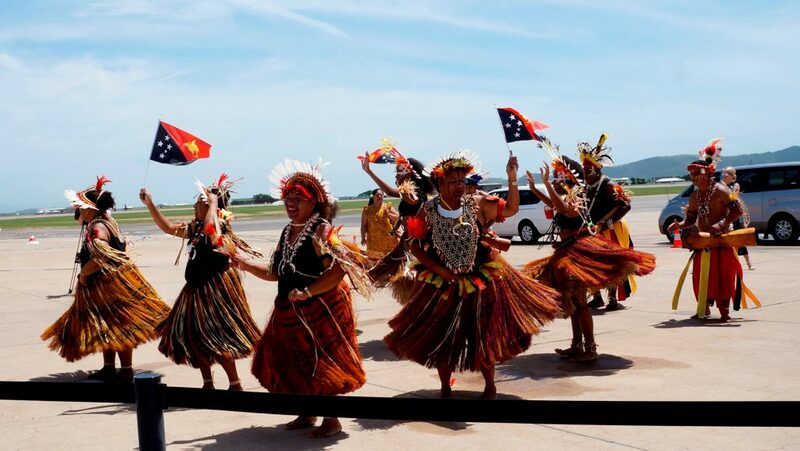 The airline’s Board Chairman, Sir Frederick Reiher said the new service will benefit both Papua New Guinea and Townsville in many ways including education, business, agriculture, freight and sports. He said this service will also help over 5,000 Papua New Guineans in the PNG community in and around Townsville to reunite with their families back home. Sir Frederick said“ It’s an opportunity for former PNG citizens and residents who now live in Townsville to visit PNG, reunite with family and friends and perhaps look at opportunities in the small business sector. “There are also strong links already in sport, especially rugby league but also between our church groups, schools, health and other community groups. It will also benefit Townsville and regional Queensland Rugby League teams playing in the Intrust cup, as well as our own PNG SP Hunters . PNG has many fans of the North Queensland Cowboys who will now find it easier to travel and watch the home games. This direct service will reduce travel time and costs for them. This service will also assist organizations such as Youth With A Mission(YWAM) with the uplift of their volunteers, medical and other supplies in and out of Townsville , enabling them to continue and expand the splendid work they are doing in PNG to help people in rural communities. Sir Frederick urged the North Queenslanders to take advantage of the new service in order to explore the many attractions in Papua New Guinea. 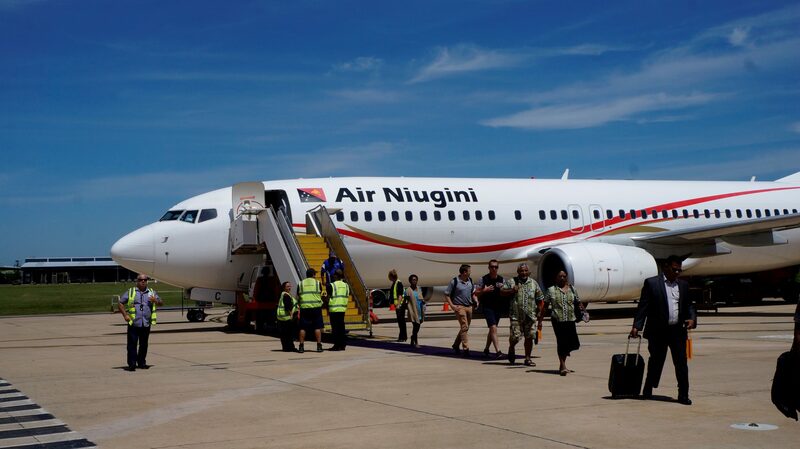 To assist Townsville residents, Air Niugini has on offer competitive air travel and accommodation packages that will enable tourists to explore PNG. Another aspect of this new service is that it will open up opportunities, centres around the development of Jacksons International Airport in Port Moresby as a regional hub. Thanks to the substantial investment by the National Government, and driven by the Prime Minister personally, we now have modern and passenger friendly facilities, including that for transit passengers. “That will enable North Queensland residents efficient international connections to Singapore, Manila (Philippines), Hong Kong, Narita(Japan) as well as Honiara(Solomon Islands), Nadi(Fiji), Port Vila(Vanuatu) , Pohnpei and Chuuk in the Fedeerated States of Micronesia via Port Moresby. We promise a safe and reliable service of the highest standard,” Sir Frederick said. Sir Frederick commended Townsville Business community and the airport authorities for their tremendous support for this service. The Port Moresby/Townsville direct services operate every Monday and Friday, departing Port Moresby at 09:55am and arriving in Townsville at 11:45am. The return flight departs Townsville at 12:30pm and arrives in POM at 2:20pm. Air Niugini is confident, this service will grow.